A staple of the 1990s arcade scene, side-scrolling beat ‘em ups are simple enough in nature for anyone to grasp and compelling such that anyone can enjoy them. Though it started on its path to popularity in the arcades, beat ‘em up games are actually one of the older genres in the industry. Whether it is the proto-fighting game Kung Fu, Double Dragon or the Kunio-kun series of games, beat ‘em up games have, in one form or another, from the start. But one series helped put the genre over the top – and may have given rise to the world’s most popular fighting game in the process. We’re talking, of course, about Final Fight, the legendary quarter-destroying arcade machine featuring Mike Haggar, Guy, and Cody as they battle across Metro City in their efforts to rescue Jessica and destroy the Mad Gear gang. Featuring a rocking soundtrack and graphics that were the standard for the day, Final Fight gave us a preview of Capcom’s later arcade hit, Street Fighter 2. The fighters (and their enemies) were huge and detailed sprites that sported fluid animation and cool-as-hell fighting moves. A motley crew of opponents kept things fresh from beginning to end and the equally outlandish (and out there) boss characters just added to the overall 1990s action-movie vibe of the game. This style of graphics would later make an appearance in Street Fighter 2 and that’s no coincidence. Originally titled Street Fighter ‘89, Final Fight began life as a member of the Street Fighter series. In fact, it was the follow up to the original Street Fighter arcade game, albeit with a different gameplay mechanic at its core. These ties between the Final Fight series and the Street Fighter universe are still prevalent to this day and, indeed, if you’re looking for a FF character (good guy or otherwise), you’re more likely to find them in the SF series than anywhere else. While the gameplay might seem repetitive by today’s standards, Final Fight keeps things flowing by offering up a gradually increasing difficulty curve combined with wild backgrounds and an awesome original soundtrack. 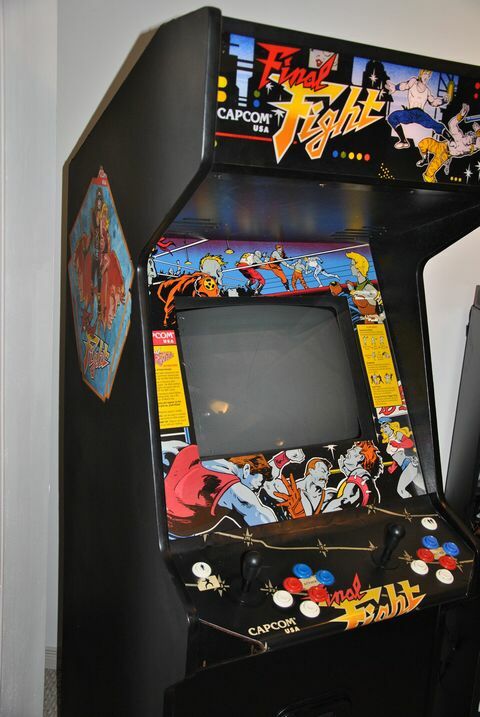 Designed to consume time (and money), Final Fight is very much a product of its industry and that mechanic probably hasn’t aged well in this era where arcades are pretty much unheard of in mainstream gaming. Still, Final Fight showed evidence that it was more influenced by console games than anything else. Neatly divided up into stages with a big boss at the end, Final Fight very much followed the structure of most NES-era action games. Heck, it even had simply controls and mechanics like most of those games. Where it set itself apart is in sound, graphics, story, and overall creativity. Final Fight evidences that early 1990s spirit that propelled Capcom to the stratospheric heights it enjoys today. Final Fight is not only a great co-op game by any standard, but it is also a time capsule of game design and its evolution. Previous Post5 Things You Didn't Know About: Kirby Next PostBalls of Steel - You Didn't Buy It? “Neatly divided up into stages with a big boss at the end, Final Fight very much followed the structure of most NES-era action games.” Has the writer played anything other than Nes games??? Anyway Streets of Rage is generally seen as the better series.